In eastern Idaho located on the magnificent Henrys Fork River, lies the historic Railroad Ranch. 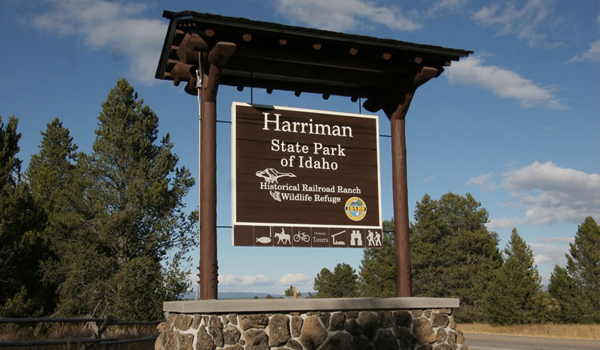 Once a working cattle operation and exclusive playground of the famous Harriman and Guggenheim families, is now a beloved Idaho State Park and is listed on the National Register of Historic Places. Trout Architects/Chartered was tasked with the development a new master plan of future growth and development for this prestigious park in addition to restoration of existing facilities and new construction. The new construction consisted of a new paved entry road, new highway and ranch gate signage as well as parking areas. 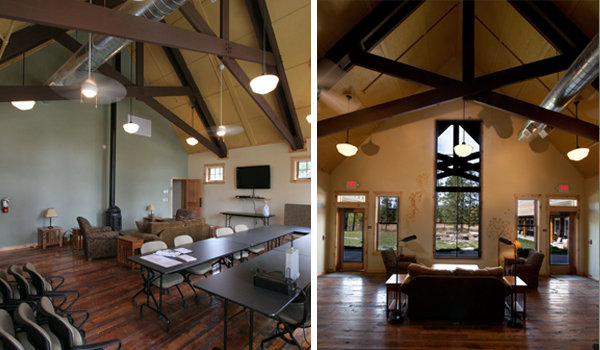 Two 1917 historic dude barns were repurposed to overnight accommodations and a small conference center. 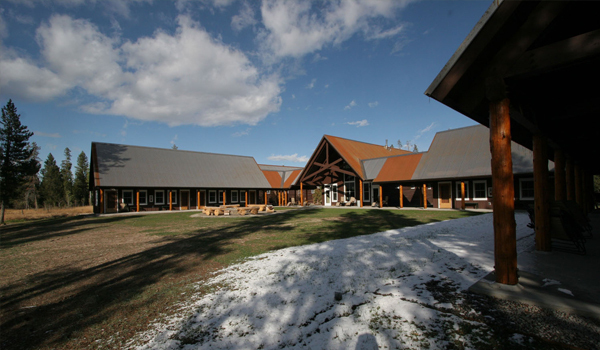 The barns were transformed on the interior to new modern buildings, sided with the original logs and placed on the exact historic building foot prints. The original wood flooring from the barns was remilled and used throughout the new buildings. 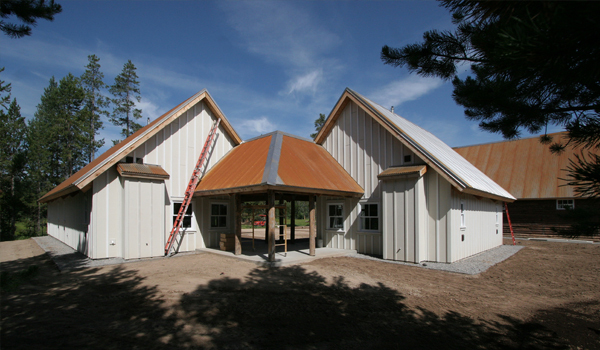 One of the barns became the Meeting Hall building for the new Scovel Retreat Center. Ten new guest quarters were built in the rear and are attached by an open arcade to the Meeting Hall building. 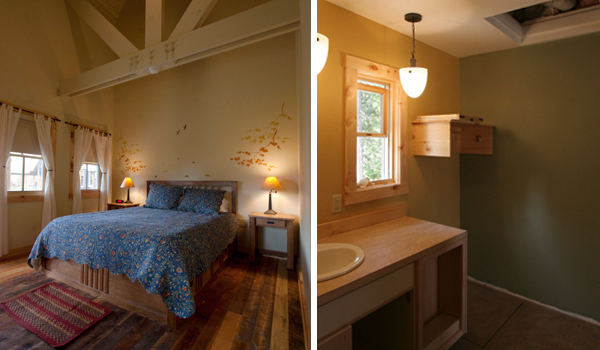 These new guest quarters surround an open courtyard area with a large fire pit for night time sing-along and story telling. 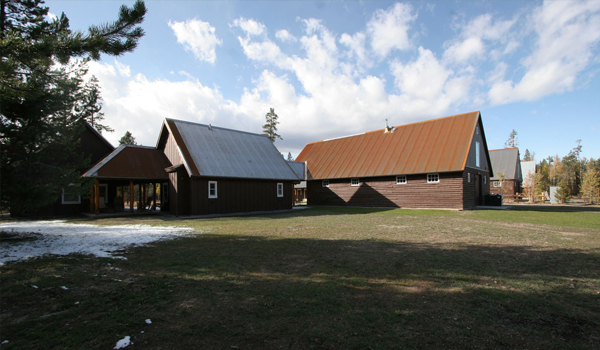 Working closely with State Historic Preservation Office and the requirements for registered historic buildings, these buildings were required to match the materials and paint colors of the original barns on the main entry and two adjacent sides. The rear elevations were allowed to deviate from the original buildings to accommodate the new uses and views to the wetlands meadow.